The Joseph Smith Translation says “and the third day of the week” rather than the third day. In the Holy Land, the Roman names for days of the week are not used. The days of the week are simply First Day, Second Day, Third Day, Fourth Day, Fifth Day, Sixth Day, Sabbath (“Shabbat”). Days are reckoned from sundown to sundown and the Sabbath is the seventh day, which for us, is Saturday (beginning Friday night and ending Saturday night). If you were to keep the Sabbath day according to this order, how would you have to reorganize your family’s activities? How would those changes separate you from others around you in what you could do or couldn’t do? Suppose the Greeks and Romans that surrounded the Jews in towns and cities in the Holy Land kept a different schedule. How would that affect life in general? This sounds like a rebuke from Jesus, almost like He could do nothing because His ministry had not yet begun. But the JST says the following: “Woman, what wilt thou have me to do for thee? that will I do; for mine hour is not yet come.” In other words, Christ is asking what His mother would like Him to do because He is free to serve until He performs His ultimate miracles and sacrifice. This is similar to the instance where Christ provided light for the boats of the Brother of Jared. He asked the Brother of Jared what his idea was for lighting the boats and then agreed to give him that blessing. The ancient Jewish culture, in fact, most cultures at any time in history, focused on milestone events. Feasts and celebrating were (and are) very important. Having no wine was not going to truly injure anyone, but it would be a memorable tender mercy to have wine instead of water. Many people have claimed that the ancients had to drink wine, because water was not safe. But townspeople either used springs for water or collected rainwater in cisterns, which, unless it is fouled by a dead animal falling in, was safe for the whole of the six-month dry period. So, this is a matter of celebration and delight, not safety. Jesus turned the water to wine. Yes, this is considered His first recorded miracle, and the message might be joy. Note that not everyone even noticed this miracle, but those who were close to Jesus were strengthened by it. How many miracles happen in your life that others might not see? This must have been a confusing and bizarre experience for those who witnessed Christ cleansing the temple. He went down to Jerusalem for the Passover, and merchants were on the temple grounds, exchanging money and selling sacrificial doves and other animals. Imagine the LDS temple that you attend, if merchants were selling LDS merchandise on the grounds or even inside the entry. What would that be like? Christ also confused the people by saying that if the temple was destroyed, He would build it again in three days. This quote from Mark helps us understand: “We heard him say, I will destroy this temple that is made with hands, and within three days I will build another made without hands” (Mark 14:58). Christ was referring to His own body (John 2: 21, 22), which would be the first to resurrect. Those who hated Him would use this temple reference to mock Jesus on the cross (Matthew 27: 40, 63), but when Jesus was crucified and resurrected, His followers finally understood what He meant. Another notable thing about this story is that in the cleansing of the temple we see the wrath of Christ. God is love, but He has the potential to exercise wrath, He has exercised wrath, and He will, when He comes again in power. Jesus performed miracles in Jerusalem while He was there, and He gained followers. Still, He was able to discern the hearts of men and to know which of these followers would become sincere disciples. To Nicodemus, who was a ruler in Israel, Jesus must have been talking in circles about being “born again.” With no doctrine or cultural pattern that explained spiritual rebirth, Nicodemus must have been thoroughly confused. We know he gained understanding because he became a true follower of Christ and never abandoned his faith that we know of. Ritual immersion for Jews was for purification, but the idea of being born again a new man wasn’t part of the imagery for them. When we talk about “mysteries” we usually fail to realize that baptism for spiritual rebirth IS a mystery, an image and practice no man could invent on his own. These are two of the most famous, loved verses of the Bible – “For God so loved the world, that he gave his only begotten Son, that whosoever believeth in him should not perish, but have everlasting life. “For God sent not his Son into the world to condemn the world; but that the world through him might be saved.” End your Sunday lesson with your family by listening to The Tabernacle Choir sing “For God so Loved the World” here. After He left Jerusalem, Christ took some disciples and went down to the Jordan River near the Dead Sea where John the Baptist was teaching and baptizing. Christ’s disciples began to teach and baptize there also, and some observers thought there might be some conflict and jealousy between the two rabbis. John explained the identity of the Savior and gladly took a lesser role, everything he did pointing to the role of the Savior. These scriptures could lead to a discussion on authority and how as disciples we don’t serve in order to bring glory to ourselves. The woman at the well is a famous Bible story, and there are many aspects of it worthy of discussion. The woman and the people of her village were Samaritans. Samaritans were considered mongrels by the Jews, and apostates. They carried the blood of their Assyrian conquerors and had built their own temple at Mt. Gerazim. (It had already been destroyed by the time of Christ.) Christ’s calling was to Israel, and it was Israel’s calling, as the Firstborn of humanity, to carry the gospel to the world. Christ sojourned with a woman long enough to teach her and use her as a witness and a missionary to the people of her village, who converted. What does this say about how Christ treated women, what women can do, and how He loves all people? Christ recited to the woman all of her many sins, but she wasn’t frightened or offended. What does this say about how Christ can correct us with a pure love that enables us to repent? Can you imagine this happening during a “life review” in heaven? Could Christ review with you the mistakes you made and still make you feel loved? Christ traveled through Samaria to get to Galilee. He had already testified that no prophet is honored in his own country, but many Jews from Galilee were returning from their Passover pilgrimage to Jerusalem, and they had seen Christ’s miracles there. They were beginning to perk up and take notice. 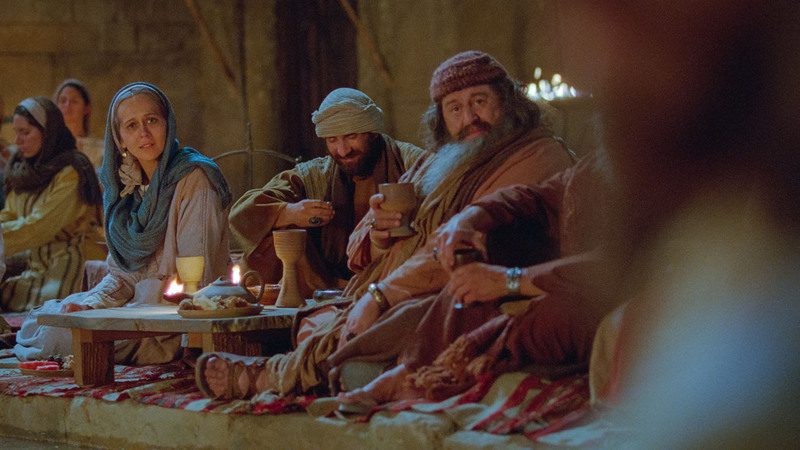 As of yet, turning the water into wine was the only miracle Jesus had performed in Galilee. 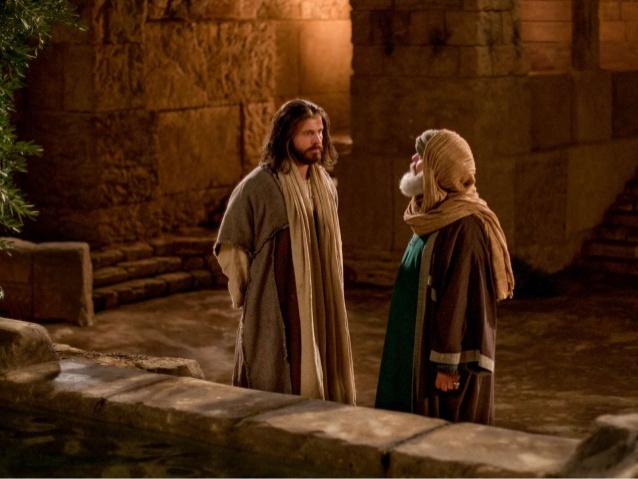 The nobleman’s son was sick in Capernaum, and the nobleman asked Christ to heal him. Christ didn’t go to Capernaum but told the nobleman that from that moment his son would be healed. The nobleman’s servants reported that this indeed did occur, right from the moment of Christ’s promise. You might want to discuss how this healing occurred even though the Savior was not there. Do we have other accounts in the scriptures where prophets “sent” healings instead of performing them in person?